Research has revealed a correlation between low melatonin levels and preeclamptic pregnancies. 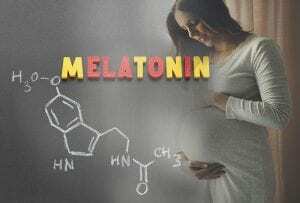 Melatonin is a necessary component for a successful pregnancy. Preeclampsia is a condition that can occur in the later stages of pregnancy. It is characterized by high blood pressure and high levels of protein in the mother’s urine. Until recently it has been unclear as to what causes the improper function of the placenta that leads to this condition. Recent studies have shown a correlation in higher melatonin levels and successful pregnancies. Conversely, preeclamptic pregnancies have been associated with low levels of melatonin. Melatonin is a hormone secreted by the pineal gland. Melatonin regulates a variety of functions in the human body including the circadian rhythm and endocrine system. Melatonin is also known as a free radical scavenger, meaning it detoxifies free radicals in the system before they can do harm to other cells. During pregnancy, melatonin passes freely across the placenta without undergoing a change and transmits information to the fetus regarding its biological clock. It is clear that melatonin also plays a role in correcting the processes that can lead to complications during pregnancy. Oxidative stress occurs when the body cannot detoxify enough of the free radicals present in the system. Antioxidants and free radical scavengers like melatonin usually neutralize free radicals. Oxidative stress has been linked to Parkinson’s and Alzheimer’s disease as well as many other conditions. A recent study involved inducing oxidative stress in lab rats during pregnancy. This study showed a strong correlation between oxidative stress and low melatonin levels. Not only were low levels of melatonin found in the stressed rats, but their offspring also had low levels of melatonin after birth. When considering this information in reference to humans, it is possible to infer that low melatonin levels could cause the genetic predisposition to preeclamptic pregnancies. Given that oxidative stress is linked to many other conditions in the body, it isn’t unreasonable to consider it may play a role in preeclampsia as well. A 2016 study sampled the plasma of pregnant women throughout various stages of gestation. These women were given an antioxidant score in the beginning of pregnancy based on the makeup of their plasma. Higher levels of melatonin in this study would be indicative of a higher antioxidant score. Antioxidants also neutralize oxidizing agents in the body. This study found that women who had low antioxidant scores at the beginning of pregnancy were more likely to develop complications later on. Looking at the data across studies shows enough evidence to link melatonin to successful pregnancies. Further research and experimentation are needed in order to determine a more explicit cause and effect relationship. 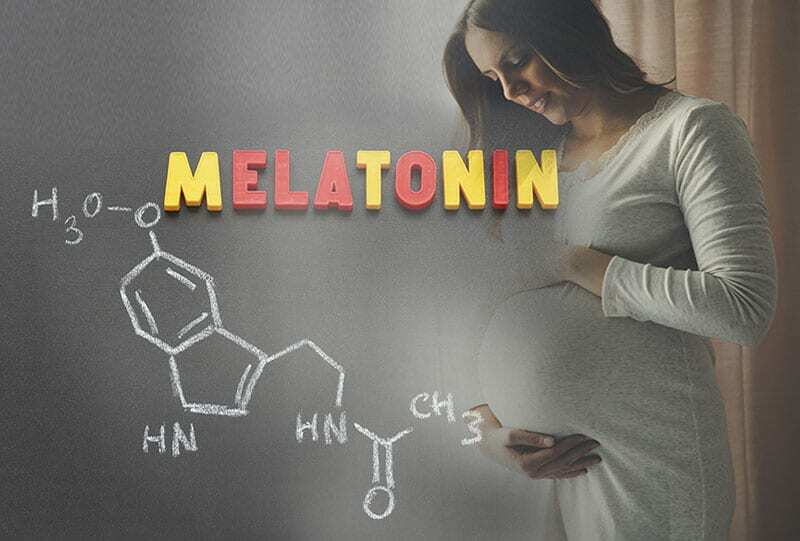 However, one could speculate that melatonin’s role as a free radical scavenger and antioxidant prevents damage from oxidative stress that can lead to preeclamptic pregnancies and other complications. It is possible with larger sample populations melatonin levels could be used as a predictor for complications during pregnancy. What Does This Mean for Women at Risk? This doesn’t mean that pregnant women should start taking melatonin tablets as a preventative measure. However, it may highlight the importance of an antioxidant-rich diet during pregnancy. Until further research is done, it is best to focus on a healthy diet to support the bodies natural defense systems. Melatonin is found naturally in cherries. Other foods like blueberries, pecans, artichokes, cranberries and even dark chocolate are rich in antioxidants that help neutralize free radicals in the body.